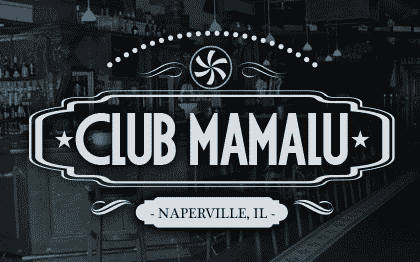 A premium Chicagoland nightspot for quality live entertainment. 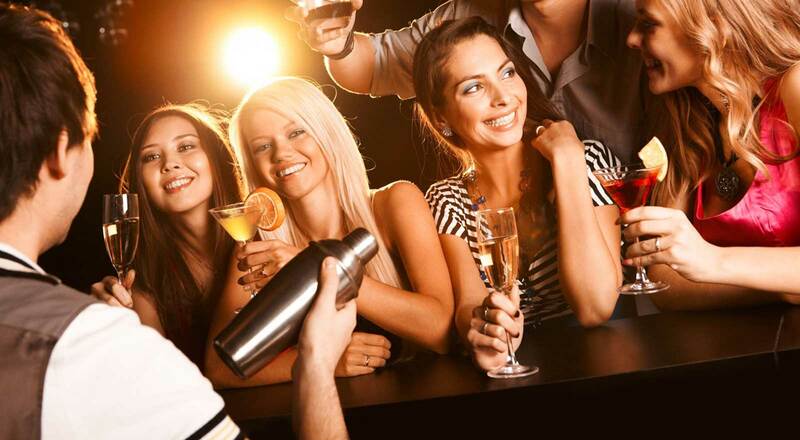 Frankies Blue Room is one of three great bars under one roof (Features Bar & Grill, Club Mamalu, and Frankies Blue Room). 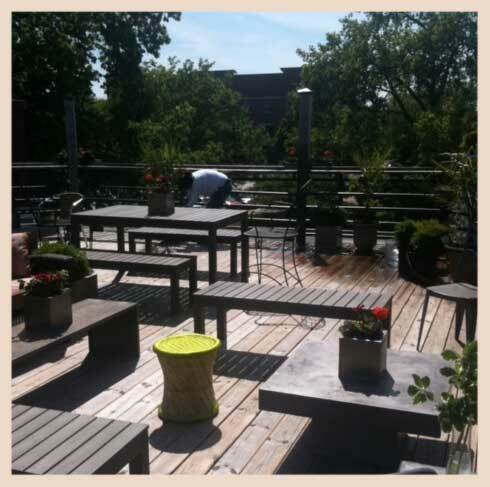 In addition to quality live music, Frankies has a fantastic rooftop patio. 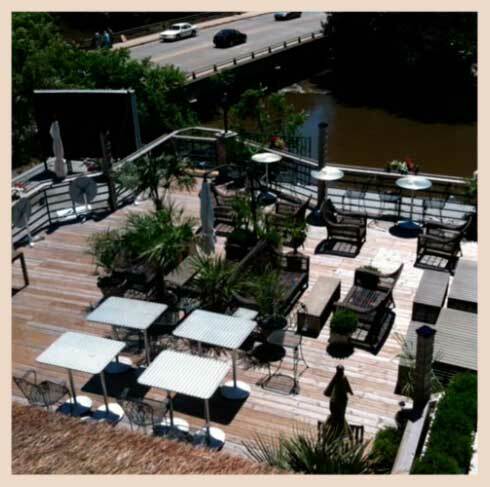 Come check out our great views and refreshing beverages. 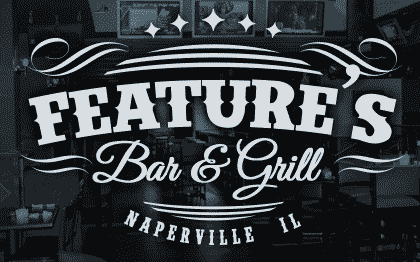 We are located at 16 W Chicago Ave, Naperville, Illinois 60540. Joins us for some of the best live entertainment in the area along with our speciality night like Salsa Dancing and Country Dancing! All shows are 21+. 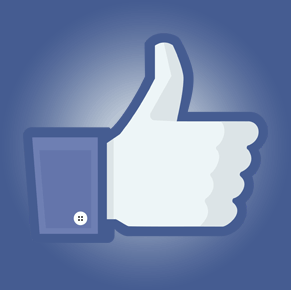 We specialize in some of the finest LIVE MUSIC in the area. 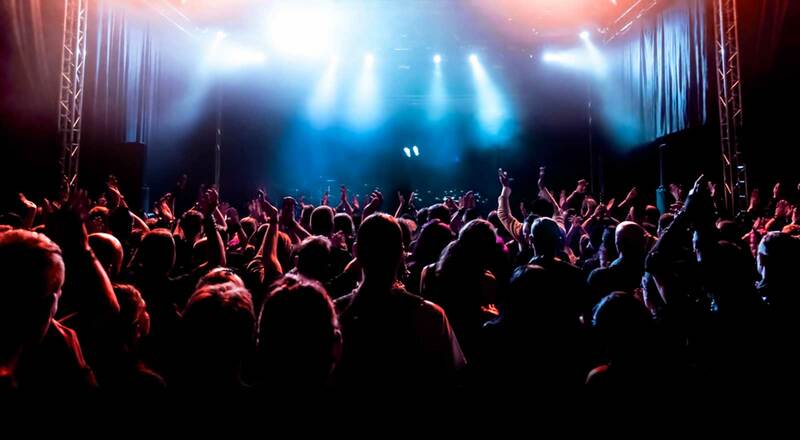 Check out our events section below for a list of upcoming shows. The Mudmen is a Chicago-based Pink Floyd project born in the Summer of 2018. The band pays tribute to all Pink Floyd eras, from the psychedelic beginnings all the way through the enormity of The Wall and beyond. Made up of an eclectic mix of established Chicago-scene musicians, the band serves up a fresh approach to Floyd’s catalogue. Each show is different with a balanced flow of fan favorites, deep cuts, longer excerpts, and unique arrangements which sets The Mudmen apart from other Pink Floyd projects on the scene. The Mudmen make up for typical tribute gimmicks by providing its audience with a one of a kind aural journey each and every show. While some arrangements will hold true to the originals, The Mudmen also venture into uncharted territory that is rarely seen in other tribute acts. 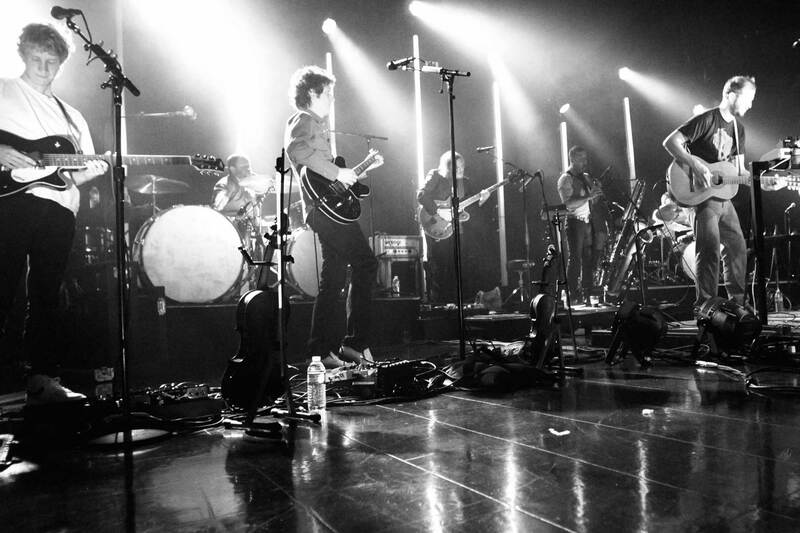 COVERLICIOUS is made up of some of the Chicago-land area’s top musicians! Playing top rock-pop-dance-and modern country favorites from the last 5 decades with an infectious, friendly, high energy and audience interactive stage show, there is something for everyone! Come out for an entertaining night of dancing, or just kick back and sing-a-long to all your favorites! Beggars Banquet is an authentic tribute to The Rolling Stones featuring all of their greatest hits and performed in full costume. Together for over 16 years, performing with all five member in authentic costume. The boys visually and aurally recreate the look and sound of “The Greatest Rock’N’Roll Band in the World” Why do the guys in Beggars Banquet say the are America’s number one Rolling Stones tribute?…Quite simply put, they prove the are, by playing just like the Rolling Stones, dressing like the Rolling Stones, moving like the Rolling stones and looking like the Rolling Stones. “Following in the tradition of other jazz-funk groups like Liquid Soul, Galactic, and Soulive, Groove Witness plays music informed by a driving rhythmic groove, and jazz, funk, soul, and blues sensibilities. When The Stingers play, audiences respond. With solid vocals and peerless musicianship, this Chicago-based group plays a tasty crowd-pleasing blend of Classic Rock, 60’s-style pop, gritty soul and R&B. They play a lot of familiar covers with just the right amount of lesser-known treasures while putting a distinctive Stingers stamp on it all. It’s a musical mix that keeps club, festival and private party audiences wondering what they’re going to pull out of their collective hats next. 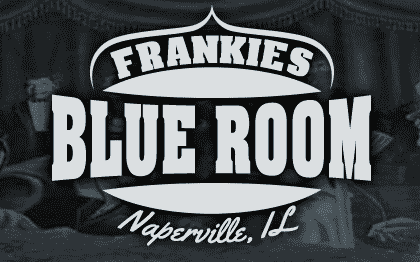 BUY TICKETS VISIT ARTIST WEBSITE Meigs Field Band takes off at Frankie's Blue Room in Naperville. Come and hear 360 degrees of Classic Rock!! 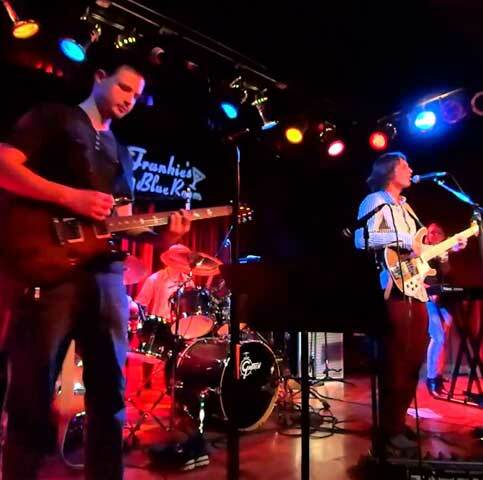 Meigs Field Band takes off at Frankie’s Blue Room in Naperville. Come and hear 360 degrees of Classic Rock!! The Core rocks Chicagoland with classic rock and top 40 hits, served up with accomplished musicianship and polished harmonies. After almost 10 years singing together, Bill and Wendy share a musical bond that allows each to anticipate and harmonize with the other. Rhythm section players Steve, Gary and Mark have been performing since high school where they played classic rock tunes when they were on the top 40 countdown! Pete holds down the bass while singing lead and harmony. Originally from Chicago, this soulful rocker puts her heart and soul into every performance. Now based out of Nashville, TN, she has been regionally touring since 2014, has opened for artists, such as Beth Hart, Samantha Fish and Walter Trout and was named Female Vocalist of the Year in 2015 by the Midwest Music Awards. Now based in Nashville, TN, she released her second EP titled, “The Game”, in the spring of 2018, which was named top 50 blues/rock albums for 5 straight weeks. Now she’s back on the road, bringing her unique blend of rock music that will touch your soul all across the USA. Over the last 5 years, Americana musician out of Salt Lake City, Utah Columbia Jones has been quietly grinding away. It started out drumming for and booking gigs for a local Folk Rock group 5 years ago. With them he performed all over the Mountain West. As time went on he transitioned to being the leader of his own group. Writing songs, booking shows, and hiring musicians. Suddenly, last year Columbia Clocked over 11 gigs in 13 states. Anyone who knows him though knows that his quiet success is no surprise. Always a quiet and un-assuming kid, he was incredibly shy throughout his early years and struggled being charismatic and having many friends. Yet when he sets his mind to something it happens. That’s why you can be excused for not having heard of him. While some spend hours a day making Instagram videos and auto-tuned recordings of themselves, Columbia has been busy. Playing dive bars, restaurants, street corners, and venues from Nashville to San Francisco. What he has become now though is nothing short of an amazing performer. This spring, Columbia releases his debut album after a number of EP’s. His full length however shows incredible growth only found from playing and traveling the country. With help from his part time touring band his songs have matured as they dabble in heartbreak, hard work, family life, and the birth of his first child. With a little fun thrown in there for good measure. Be sure to catch Columbia Jones on his national tour this summer playing a dynamic solo performance. Its part songwriter night, part One-Man-Band, part blues band, and part rock concert. You’ll seldom find an artist put on such a unique performance. But more then his One-Man-Band under-pinning, he has talent, an incredible voice, depth in his songwriting, and employs all limb coordination for a dizzying performance. This is a not-to-miss event coming to a city near you. 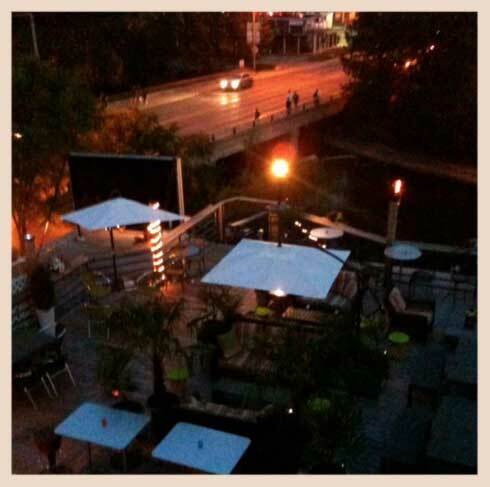 Located atop Features Bar & Grill, Frankie’s Rooftop offers a phenomenal view overlooking the Naperville River Walk in scenic downtown Naperville. 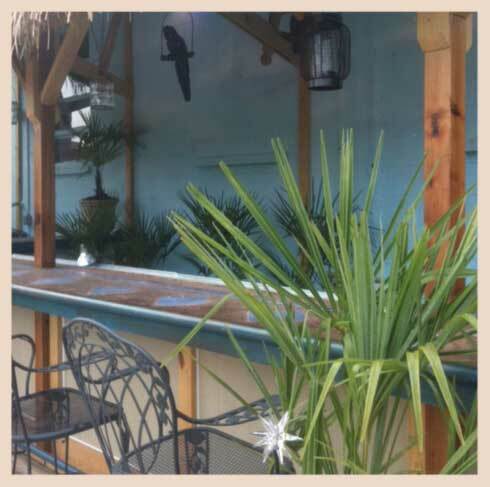 Enjoy one of our great special cocktails or your favorite Craft Beer while taking in the scenery and enjoying the weather. Hungry? We’ve got you covered. From our many signature dishes, our homemade soups and barbecue cooked right on the rooftop, our menu is sure to find the right dish to make you smile.